We are a leading manufacturer of Test Couplings -700 Bar T.P. 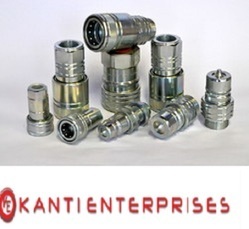 Connection Port: 1/4", 3/8", 1/2", 3/4", 1", 1 1/4", 1 1/2", 2"
Riding on vast volumes of expertise in this arena, we are occupied in offering Hydraulic Couplings. We are one of the well-known manufacturer and exporter of a wide range of highly efficient range of Bulkhead Straight Coupling. These are available in both standard and customized specifications. Our customers can purchase these from us at industry leading prices. A fluid coupling or hydraulic coupling is a hydrodynamic or 'hydrokinetic' device used to transmit rotating mechanical power. It has been used in automobile transmissions as an alternative to a mechanical clutch. 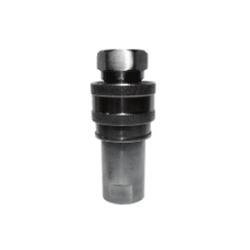 - Ideal for applications as Factory Air supply, Pneumativc tool connections etc.